If you'd like to understand, once and for all, the relationship between what you're eating and how you feel, try keeping a mind-body food journal. It's a powerful way to gain insight into your eating habits and how your food choices impact your mental and physical wellbeing. A mind-body food journal is different from a "diet diary" because the intention is different: it's not just about the fit of your jeans, it's about how food makes you feel physiologically and emotionally and how it fits (or doesn't fit) your lifestyle. Too often we eat mindlessly - on the run, watching television, behind the computer. A mind-body food journal helps create clarity between what we choose and how we feel. It leads the way to improved choices and - because food is medicine - supports total mind-body health and healing. Did you have headaches, mental/emotional fatigue or any other symptoms? Did your energy level change or did you experience sympotoms like gas or bloating? Review your journal at the end of each day and summarize your habits. Note the key factors for why you chose to eat the way you did, what was going on, how you felt and if there were any physical symptoms. By keeping a mind-body food journal you will be able to connect the dots between your food, your emotions, and your physical body. I also find that it helps me make better choices because I'm less likely to go for that sweet treat if I know I have to write it down. Start keeping your journal today. Track your eating habits for a few weekdays and at least one weekend day. Do this for at least two weeks and see what happens. You can keep a small notebook or journal on hand or use your notes app in your phone, whatever works best for you. I recommend avoiding most food tracking apps since they require you to enter macronutrients and/or calories which defeats the purpose of this exercise. I'd love to hear how this worked for you and what you learned, so please comment below and share your experience. Happy journaling! I'm nearing the 8-week mark of my sugar-free, starchy food-free, fruit-free, alcohol-free anti-candida diet. I was already gluten, dairy, soy and corn free so adding these additional restrictions was simultaneously easy and super hard. Yeah, I know that sounds confusing, but for those of you with dietary restrictions or food allergies, you know that once you get used to avoiding certain foods, you get used to the drill of label reading, cooking at home A LOT, and asking restaurant servers 16 questions before ordering when you do go out. That's the easy part. The tough part was taking an already limited diet and whittling it down even more to the point where I'm eating only non-starchy vegetables (no fruit or sweet veg like beets, carrots, squash or roots), some organic, pasture-raised animal proteins, and a few types of nuts and seeds. Admittedly I'm a chocoholic so I've gotten creative with organic cacao in order to get my chocolate fix (see my Chocolate Pot De Crème recipe here). The first 10 days or so I had terrible sugar cravings but they did subside and are now long gone. So why am I following this crazy, restricted diet protocol? Well, it all started on the day I was born. Yep, we have to go back that far, but you'll see why in a moment. I was a C-section baby, which meant that I was starting off my adventures on earth with two blows to my unformed immune system. First, I missed out on all the good bacteria in the birth canal that an infant should be exposed to. This bacteria populates the baby's skin and gut acting as its' first dose of probiotics. Second, since I was a C-section baby, both my mom and I were put on antibiotics, further compromising the good bacteria I did have and making me more prone to thrush and yeast infection. Thankfully my mom breast-fed me so I at least got colostrum, which is crucial for a healthy immune system and gut integrity. Overall I was a healthy kid but I did get ear infections when I was little, all of which were treated with antibiotics. But no biggie, still a pretty healthy kid with a pretty healthy, unprocessed diet - thanks mom! When I hit my early teen years I started getting acne and, yes, you guessed it, more antibiotics. I think I took every antibiotic on the market to "help" my skin and when that didn't do the trick we turned to Accutane and after 2 courses of that my skin was significantly better, although still not acne-free. Little did I know at the time that my acne was due to a dairy intolerance and could have been remedied by a simple dietary change. After high school I moved from sunny California to Seattle for college and went from eating mostly home cooked, unprocessed food to eating cafeteria food at school. I was a vegetarian at the time and had no clue how to be a healthy vegetarian, which meant I was eating mostly high starch, high sugar foods since those were the only vegetarian options available on campus. Now keep in mind that this was the early 90's when "high carb, low fat" was all the rage. I thought I was eating healthy but I was actually creating a massive systemic candida overgrowth and I began to feel generally cruddy. I was tired and depressed and by the end of freshman year I had gained nearly 30 pounds. I had such bad brain fog that I would study for hours but just couldn't retain the information. My grades suffered and my dream of getting into veterinary school slipped away before my eyes. That summer I went home to California and managed to eat less and exercise my way back down to only 10 pounds heavier than I was when I arrived at school, but I still felt cruddy and I began feeling severely depressed. I though about food constantly and my cravings for sugar and starchy foods were out of control. I returned to school that Fall and almost immediately began gaining weight again. It was then that I began binge eating and purging, and suicidal thoughts became a regular part of my life. I was 19 years old. About halfway through my second year at university it was clear that I didn't have the grades to get into vet school (which is more competitive than med school), and I was heartbroken. I quite literally did not know what to do with myself since all I had ever wanted to do was be a veterinarian. I was more depressed than ever and I often planned out how I could or would commit suicide. Thankfully my love for my mom and my faith saved me. I never acted on it because I knew that it would be devastating for my mom and I knew that God had a plan for my life that I couldn't just give up on. The bingeing and purging escalated to the point that I finally knew I needed help so I reluctantly reached out to my mom and told her what had been going on. Being the amazingly compassionate and giving person she is, she started doing some research and eventually found a nearby treatment center for eating disorders where I went through a couple years of pretty intense therapy. It wasn't a cure but it did get me out of the cycle of bingeing and purging and helped me to make peace with my body and create a healthier relationship with food. I felt like I was beginning to recognize myself again and I knew it was time to refocus and find purpose and direction for my life. After being in such a rigid, scientific setting at university I wanted to do something more creative. I loved to cook and I thought that just maybe I could put my fascination (or obsession) with food to good use, so I decided to go to culinary arts school. My culinary program was full at the time so I decided to start with their pastry program and move to culinary after finishing that. Long story short I was around bread and pastries all day every day and I was a poor student, so what did I end up eating every day? Yep, bread and pastries. Again, it was the 90's and high carb was supposed to be good for you. Ugh! If you know anything about candidiasis, or candida overgrowth (if you don't, check out this great article by Dr. Amy Myers), you know that eating high starch/sugar foods feed the yeast, creating a systemic problem that affects everything from gut health to brain function. For those of us who have a history of antibiotic usage, we're more vulnerable because we no longer have sufficient amounts of the healthy bacteria and yeasts that keep the candida in check. My history of antibiotics and super high carb diet had created the perfect environment for the systemic candida overgrowth that would affect my life for the next 2 decades, baffling doctor after doctor with my constellation of mystery symptoms. Fast forward several years and I had finally found a Naturopathic Doctor who understood what was happening in my body. I was eating a much better more balanced diet and had lost quite a bit of weight at this point so she helped me address my hypothyroid and nutritional deficiencies. She also put me on an anti-fungal drug but unfortunately didn't tell me that yeast will build a resistance to anti-fungal drugs and herbs if it is still being well fed. So while the treatment helped for a while, it didn't solve the problem or address my overall gut health. As difficult as that part of my life was, it gave me a passion for natural healing and using food as medicine and it's what eventually led me to go back to nutrition school. I have since learned so much about the power of food in overcoming illness and I can share that knowledge to help others avoid or overcome similar challenges. My health has come such a long way over the last few years and I am beyond blessed to have access to amazing doctors who deal with chronic illness all the time. I began feeling familiar symptoms again after the holidays so I decided enough was enough! It was time to break up with candida once and for all and to put my nutrition knowledge to work for me. So I am now undergoing anti-fungal treatment with the incomparable Dr. Giandomenico at Sophia Health Institute (where I work part-time as the Nutrition Counselor), and simultaneously following a strict anti-candida diet. In the last couple of years I kept hoping that by eating clean, nourishing, anti-inflammatory foods and focusing on restoring my gut health, any residual candida issues would disappear. But I now understand that once candidiasis becomes chronic, it takes much more targeted and extreme measures to truly eradicate an overgrowth, especially one that's been around for years. But what is a few months of following a restricted diet in the grand scope of things? I'd rather do this for a few months than continue to struggle with my health for years to come. At nearly 2 months into this protocol I have next to no brain fog, my energy has increased, I'm sleeping SO much better, and I don't have the vicious sugar cravings and constant bloated feeling anymore. I've had some rough days here and there which is normal due to the toxins released by the yeast as it dies off (read more about die off reactions here), but overall it has been a positive, necessary and long overdue change. Even if you're not dealing with candidiasis you may benefit from saying goodbye to sugar for a while. I know it can seem overwhelming or even impossible to eliminate favorite foods from your diet like sugar, gluten and dairy, but you may not need to say goodbye to them forever. After a sufficient time of allowing the gut to heal on a therapeutic diet, most people are able to reintroduce certain foods in moderate amounts with no problem so it's not necessarily a death sentence for those foods. If you've been struggling with any chronic illness or condition, I encourage you to do some soul searching and ask yourself what do you want more? Do you want that tasty food that is only enjoyable for a short moment in time and may be destroying your health, or do you want a vibrant, healthy and functional body for a lifetime? Are you ready to breakup with candida or another digestive issue? If so I'd love to support you. Click here to schedule a complimentary Coffee Talk session and let's talk about your journey to true wellness. Digestion is a complex process which relies on many factors and steps to properly transport and use the food you eat to fuel your body. When something goes wrong in this process, it can manifest in a multitude of ways, most commonly gas, bloating, abdominal pain, food sensitivities, acid reflux/heartburn, constipation or diarrhea. If allowed to continue, digestive problems can lead to more serious problems such as fatigue, IBS/IBD, SIBO, depression, diabetes, weight loss resistance, and auto-immune disease. There is good news and bad news when it comes to maintaining or restoring healthy digestion. The bad news is that our ability to properly digest our food can easily be disrupted by chronic stress, poor diet, environmental toxins, pharmaceuticals (acid blockers or PPIs are particularly problematic), age (stomach acid starts to drop off in our 30’s and 40’s), and chronic illness, and often it is hard to determine which came first, the illness or the gut dysfunction. But the good news is that there are many ways in which to boost our digestive capacity, or “digestive fire”, to help relieve symptoms and restore nutrient absorption. Skin conditions such as acne, eczema, rosacea, etc. You may have heard the saying “digestion begins in the mouth”, but it actually starts in the brain. From the moment you think about, smell, see, taste or touch food, your brain begins prepping your body for the meal you’re about to eat. Saliva production increases; your stomach begins producing enzymes and acid; and your liver and gall bladder get ready to release bile. Once you actually take a bite of food your salivary amylase and lipase begin breaking down starches and fats. Chewing your food properly breaks the food down into more easily digested particles, alleviating the digestive burden on the stomach. Not chewing well enough is one of the most common causes of gas and bloating and eventually can lead to leaky gut. Next in line is the esophagus which is partitioned by the upper and lower esophageal sphincters (UES and LES). After you swallow, your food passes through the UES and travels down and through the LES then into your stomach. The LES has an important job because it prevents food and stomach acid from moving back up the esophagus and causing heartburn or gastroesophageal reflux disease (GERD). Sufficient stomach acid is required to keep the LES from allowing this reflux and while it may seem counterintuitive, we are more likely to experience heartburn/GERD because we don’t have enough stomach acid, not because we have too much. It’s hard to overstate the importance of stomach acid, or HCl (hydrochloric acid). HCl is produced by the parietal cells in our stomachs and ideally should have a highly acidic pH similar to battery acid, or about a 1-2 on the pH scale. HCl breaks down proteins, stimulates enzyme production, maintains bacterial balance in the intestines and kills pathogenic organisms such as parasites, yeasts and bacteria that may have hitched a ride on your food. These same parietal cells which produce HCL also make intrinsic factor and digestive enzymes, both of which are dependent on sufficient stomach acid for production. Digestive enzymes are specialized to digest specific nutrients. There are enzymes designed for every kind of starch, fat, protein and fiber and they act to further break down these particles and prepare vitamins and minerals for absorption. Intrinsic factor is crucial because we cannot absorb vitamin B12 without it first binding to intrinsic factor. This is why people who take acid blocking drugs often have vitamin B deficiencies. Other big players in the digestive process are the pancreas, liver and gall bladder, contributing pancreatic enzymes and bile to break down the remaining proteins, carbohydrates and fats. If all goes as planned our food has now transformed into tiny particles of micronutrients that give us life and vitality. But if any step in this process is compromised, the symptoms above rear their ugly heads and our health begins to suffer. As one of my teachers, Tom Malterre, always says, “If you aren’t digesting your food properly, someone else will do it for you”, meaning that bacteria in our gut will eat up any undigested food hanging out in our intestinal tract. This can be a problem because beneficial bacteria tend to thrive on properly broken down food while potentially harmful organisms will thrive on undigested food. SIBO is a prime example of this. Harmful bacteria can also produce chemicals that degrade our intestinal integrity causing leaky gut syndrome. So ideally we want to make sure we’re properly digesting our food and maintaining a healthy balance of bacteria in our guts. Digestion may be a complex process, but boosting your digestive capacity can be quite simple if you know what to do. Eating slowly and chewing your food well is the #1 place to start, but incorporating the tips below can help fuel your digestive fire and eliminate uncomfortable gastrointestinal problems. Eat slowly in a relaxed environment without multitasking. Chew your food until it is almost liquid before swallowing (shoot for 35 chews). Eat real, whole, organic foods, especially high-antioxidant vegetables. Stay well hydrated by drinking plenty of purified water. Eliminate food sensitivities and gluten and avoid a high sugar / high starch diet. Combine foods strategically – Eat veggies and greens with animal proteins (fish, meat, eggs). Eat veggies and greens with vegetable proteins (legumes, tofu/tempeh, quinoa). Don’t eat animal and vegetable proteins together. Eat fruit on its own, not with meals or other foods. Decrease intake of or eliminate coffee, tea, alcohol, sugar, tobacco, fried foods and minimize hot sauce/spices since these can all deplete your stomach acid and thin the lining of the gut. Avoid drinking cold liquids before or during meals. Avoid chewing Gum - The enzymes and acids activated by chewing gum can cause bloating and overproduction of stomach acid. Take a 10 minute walk after dinner. This aids digestion and reduces stress. Stop eating at least 2, ideally 3-4 hours before bedtime. Try to give your body at least a 12 hour break from eating. Eat more bitter tasting foods such as chicory, dandelion, arugula, radicchio, endive, artichoke, lemon and black radish – bitter foods stimulate digestive function & strengthen the digestive organs (liver, stomach, gallbladder, pancreas, etc.). Gentian Root - stimulates appetite and stomach acid production. Also helpful for fatigue, heartburn, vomiting, stomach ache, and diarrhea. Avoid if you have ulcers or high blood pressure. Cumin – reduces inflammation, prevents gas, relieves diarrhea and promotes secretion of gastric juices. Trikatu – an Ayurvedic blend of ginger, black pepper, and long pepper. Supports digestion & overall gastric function, stimulates digestive enzymes, promotes rapid absorption of nutrients. Digestive enzymes – should only be used short-term or taken only with harder to digest foods. If taken long-term the body may begin to rely on them and produce less f of its own enzymes. Ox bile / Bile salts – especially helpful for those who have had their gall bladder removed. Swedish Bitters tincture – take a small amount in a little water before you eat. These are readily available at most health food stores. *Certain “high risk” people should not take Betaine HCL without medical supervision. You are considered high risk if you’re taking any anti-inflammatory medicines such as corticosteroids, aspirin, Indocin, ibuprofen (Motrin, Advil) or other NSAIDs. These drugs may damage the GI lining and taking HCl may increase the risks of bleeding or ulcer. Identifying food sensitivities and/or allergies can be a time consuming and often expensive task. Elimination diets are considered the most accurate method but they can take months to complete by which time you may have developed new or different sensitivities, especially if you have leaky gut syndrome due to underlying infections or inflammation. The food allergy tests available on the market can be helpful but they are not 100% accurate. These tests can cost up to several hundred dollars and may not be covered by insurance, which makes them cost-prohibitive for many of us. Muscle testing or ART (autonomic response testing) is an excellent way to determine food intolerances but you will need access to a practitioner who is proficient in ART. Thankfully there is a simpler option for determining if certain foods are your friend or foe compliments of an immunologist named Arthur F. Coca who discovered a method of testing reactions to specific foods that requires no equipment and can be done by anyone in their own home at no cost. Dr. Coca’s theory was that if someone has a sensitivity or allergy to a food, it would cause a stress response in the body indicated by an accelerated heart rate. Dr. Coca’s wife who was a medical researcher was diagnosed with a debilitating case of angina pectoris (chest pain or discomfort due to coronary heart disease) and given a five-year life expectancy by two cardiologists. She noticed that her attacks would occur within a few minutes of eating and began to realize that it was always after eating certain foods. She would eat these offending foods and inevitably her pulse would speed up and she would have an attack of angina. Dr. Coca began tracking what she ate and how her pulse changed after each food. Eventually they compiled a list of all the foods that caused her pulse to accelerate and removed them from her diet. Not only did her angina disappear, but other health problems and symptoms she’d had went away as well. After this happy accident Dr. Coca began using this method of testing on other patients who all had similar results. Any food that caused a patients’ heart rate to increase was identified as a problematic food. When his patients removed these foods, their symptoms went away, and if the problematic foods were reintroduced, the same symptoms would reappear. He published his book The Pulse Test back in 1956 and to this day many well-respected practitioners, including my boss, Dr. Klinghardt, recommend this method for assessing food sensitivities and allergies. So while it may take some time to test every food in your diet, it will be a lot simpler and more affordable to try this method out at home. Dr. Coca’s book is now public domain and you can read or download it here. His instructions are somewhat involved (detailed in part 7 of his book) but there is a simple method you can use to get the same information. Keep in mind that while this test is not a perfect science, it can be extremely helpful in determining which foods are causing stress to your body. 1.) Get ready with a pen, paper or tracking chart, a stopwatch or watch with a second hand, and whatever food(s) you want to test. Be sure to test individual ingredients vs. foods with several ingredients so you can identify exactly what you are and are not reacting to. 2.) Sit down long enough that you are relaxed. Don’t try to do this after exercising or being active. Additionally, do not take the test when feeling angry, or upset since these emotions will effect your digestion and parasympathetic nervous system. Take a few deep breaths, then take your “before” pulse for a full 60 seconds and write it down. You can take your pulse at your neck or wrist, but make sure you always take it from the same place. 3.) Put the food/drink/supplement that you want to test in your mouth and chew it or roll it around for about 30 seconds, but don’t swallow it. If your central nervous system perceives that substance as a threat or stressor, your pulse will increase. Keep the substance in your mouth and take your pulse again for another 60 seconds, uninterrupted, and write down the “after” result. The more your pulse increases, the worse the reaction to that food. An increase of 6 or more beats (less if you are Blood Type O) indicates a sensitivity or allergy to that food. Dr. Coca recommended not testing any foods you already know are problematic for you. 4.) Spit out the food you first tested, rinse your mouth with water and spit it out. Always wait until your pulse has returned to your normal or “before” rate before testing another food, drink or supplement. This can take up to several minutes depending on the severity of your reaction. You can test as many foods this way as you like or have time for. It is recommended that you avoid any food you react negatively to for at least 6 weeks before re-testing. But the good news is that unlike true allergies, food sensitivities can be reversed if the problematic foods are removed long enough and the gut is given the proper support to heal. For those dealing with chronic illness or autoimmune disease, I recommend eliminating offending foods completely for 6-9 months and retesting them at that time. Some people may choose to retest every three months, especially if their diet is very restricted and they wish to reintroduce foods as quickly as possible. If you continue reacting to a food after testing three months in a row, you should avoid that food permanently. When you re-test a food and no longer have an increased pulse, you can safely reintroduce it, but you will need to test it again after one month. If you experience an increased pulse again you have probably added in too much of that food, so eliminate it for another month and then try again, eating smaller quantities of that food less frequently. 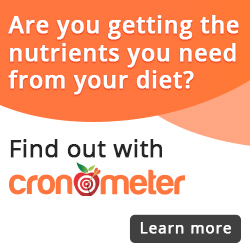 The Nutritional Therapy Association also provides a test form that you can use to track your results. Keep in mind that if you smoke or are taking a beta-blocker, calcium-channel blocker or other medication that controls heart rate, you will not get accurate results from this test. The Pulse Test by Arthur F. Coca M.D. As a nation, we spend $10 billion dollars a year on heartburn/acid reflux medicine such as Nexium and Pepcid AC (NPR, Healthinc, May 2015). Sixty million people have some form of IBS/Irritable Bowel Syndrome, while more than 5 million people suffer from daily constipation, resulting in 2 million doctor visits and $725 million a year for laxatives, anti-spasm meds and fiber supplements such as Metamucil (Gastroenterology Association). These remedies often have a yo-yo effect of days of alternating constipation and diarrhea, in addition to other side effects. And every day, millions of Americans complain of gas, feeling bloated, and/or ongoing stomach upset (Washington School of Medicine). So why all the tummy troubles? • What’s going on in your gut? The lining of your small intestine is comprised of trillions of bacteria that coexist in a complex balance that keeps you healthy. These trillions of bacteria in our gut are also known as intestinal flora. They help break down our food, protect us from disease, keep us functioning optimally, and even prevent weight gain. But things like antibiotics, certain medications, poor diet, food additives, and stress upset the balance of good bacteria to bad bacteria or yeast, creating what is know as dysbiosis. When your microbiome gets out of balance, your stomach reacts with gas, bloating, constipation, and/or diarrhea. • Is your gut leaky? Many health coaches and nutritionists are aware of “leaky gut syndrome”, or intestinal permeability – although your doctor may not be. Leaky gut is a result of damage to the intestinal lining caused by several factors including dysbiosis, parasite infection, chronic stress, poor digestion or a bad diet. When the integrity of the intestinal lining is compromised, natural waste that would typically be absorbed or eliminated in your stool can “leak” from your digestive system into your blood stream. Like the lactose-and gluten-intolerances discussed below, a leaky gut causes an inflammatory immune response, and that can cause gas, bloating and pain, food sensitivities, skin rashes, joint pain and fatigue. Note that medications used for joint aches and body pains, as well as antibiotics, can cause chronic inflammation, which many experts believe can lead to leaky gut. • Chronic stress can lead to gut issues. Chronic stress can lead to a variety of gut problems such as gastroesophageal reflux disease (GERD), ulcers, IBD, IBS, and even food allergies. Studies show that stress also contributes to leaky gut syndrome, slows waste elimination and encourages bacterial overgrowth, making stress management a top priority for anyone with GI health concerns. Taking time to practice relaxation techniques such as yoga, meditation and breathing exercises can help reduce stress and anxiety. These exercises may actually alter the brain’s neuro pathways, helping you become more resilient to the affects of stress. There are many actions you can take to help reduce your stress; but the first step is to identify the source and take the necessary steps to reduce it as much as possible. • Your bowels are irritable. About 20 percent of all women suffer from IBS, which can cause gas, bloating and painful yo-yo-ing between diarrhea and constipation. But your bowels don't just get irritable out of the blue. Diet and stress can both contribute to IBS symptoms and a study by Dr. Mark Hyman found that changing certain foods in your diet can eliminate up to 30 percent of your symptoms. I help my clients identify which foods to eliminate, which foods are not a problem, and guide you through an effective process for maintaining your healthier lifestyle. My first suggestion to clients with IBS is to keep a food journal – you can start doing this now! Write down everything you eat, making sure to mark the time, amount, and ingredients. This is a great investigative tool and helps you become more aware of what you’re eating and how you feel afterwards. • Is dairy really your friend? About 25 percent of Americans have trouble digesting dairy products. Lactose (the sugar in milk) and casein (milk protein) intolerances get worse as we age and can cause gas, bloating, skin problems and other symptoms. If you want to take a self-assessment, try eliminating all dairy from your diet for one to three weeks, and see if your symptoms improve. This is not always easy to do without an expert’s help, because dairy or whey products are often hiding in foods that we would never consider “milk products.” Contrary to what the FDA and dairy industry would have us believe, we do not need dairy products to get adequate calcium in our diets. Dark, leafy greens, sardines, figs, almonds and sesame seeds are all great sources of calcium. For an excellent gut-healing food rich in calcium and other minerals, try making your own bone broth. • What does your weight have to do with it? People who are overweight are 50 percent more likely to suffer from GERD and/or heartburn, and are more susceptible to gallstones (causing pain in the upper right-side of your stomach). The poor food choices that lead to obesity are often the original cause of gastrointestinal problems for many Americans. If these symptoms are treated with certain drugs like PPIs, it can make these problems even worse and cause additional long-term problems. Excess weight also puts more pressure on your stomach, which then puts pressure on the valve opening to your esophagus. By switching to a clean, whole foods diet you can slim down and reduce or eliminate your food-related heartburn and GERD. • Could wheat be the culprit? 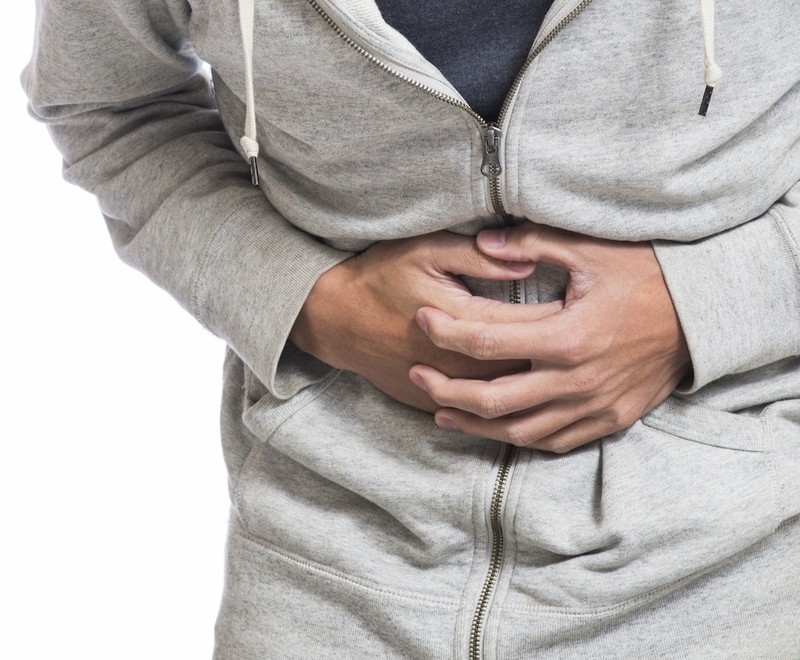 More people are discovering their stomach distress is related to a gluten intolerance; studies show about 20% of Americans are affected, with celiac disease becoming more and more common. Celiac disease and gluten intolerance create an autoimmune reaction; the body produces antibodies that attack the protective “villi” found in the small intestine. Villi are what help you absorb nutrients, so when they are compromised, you get cramping, bloating and nutrient-deficiency. If your parents or siblings suffer from celiac or gluten-intolerance, there’s a greater chance that you might, too, as there is a strong genetic link. You can get a blood test to determine if you have celiac disease, but there is no definitive test to conclude if you are gluten-intolerant. Becoming gluten-free helps millions of sufferers eliminate symptoms, but eliminating gluten can be tricky and is best done with the help of a nutrition coach who can help you learn more about the foods you can and cannot eat. Foods you’d never think would contain gluten often do – such as soy sauce and ketchup! Plus, to truly reap the benefits, gluten-free is an all-or-nothing diet – simply “reducing” your gluten intake usually will not eliminate your symptoms. If you have experienced stomach issues for years, or if your distress is recent, I would be happy to help you feel better and healthier! Click here to schedule your complimentary Coffee Talk session. SIBO and FODMAPs – What They Mean and How They Affect Your Health. Originally published May 21, 2015 on www.drklinghardt.com. But wait a minute, isn’t bacteria in our gut a good thing? Yes! But only if it’s in the right place. Our bodies have about 10 times the number of bacteria as we do human cells, but the large majority of those bacteria should make their home in the colon. When too many bacteria set up shop in our small intestines they rob us of nutrients such as B12 and iron. These bacteria also deconjugate bile acids produced by the liver which prevents proper fat digestion and absorption creating problems similar to not having a gallbladder. Not only do we miss out on the benefits of fats themselves, but we also cannot absorb fat-soluble nutrients such as Omega-3 fatty acids, CoQ10, beta-carotene and vitamins A, D, E and K. So if you’re supplementing with these and not seeing the expected improvement, SIBO could be a potential culprit. Your doctor can administer a simple breath test or an organic acid urine test to determine if you have SIBO. SIBO can also contribute to both weight loss due to malnutrition and obesity. If the excess bacteria are consuming all the carbohydrates in your diet, you may lose too much weight accompanied by nausea, vomiting and lack of appetite. Chronic diarrhea also deprives you of the nutrients in your food because it’s moving through your body too quickly to be absorbed. Insulin resistance and elevated cortisol levels can also be a product of the stress and inflammation from SIBO, resulting in weight gain, weight loss resistance and possible contributing to diabetes. SIBO is often caused by dysbiosis – or an imbalance between beneficial bacteria and yeasts and harmful bacteria, yeast, and even parasites, but our diet may be the biggest cause. Bacteria thrive on the sugars and starches in the food we eat and the byproduct of this is fermentation. Aglaée Jacob, author of Digestive Health with Real Food describes the bacteria as creating “lots of microbreweries”. So just like the process of brewing beer, the more food we provide for the bacteria, the more fermentation they produce, which translates to gas and bloating. In turn that gas and bloating cause inflammation in the gut, eventually leading to the symptoms mentioned above. The trick when it comes to getting SIBO under control is similar to that of treating a candida infection – starve the bacteria without starving the person. In this case that means removing their favorite foods – sugar, starches and fermentable carbohydrates. Enter FODMAPs. FODMAPs stands for fermentable oligosaccharides, disaccharides, monosaccharides and polyols and following a low FODMAP diet has proven to be extremely effective in the treatment of IBS and SIBO. FODMAPs are all types of carbohydrates that are not fully digested and absorbed by the GI tract and are therefore more easily fermented by the bacteria who thrive on them. As a general rule of thumb, good bacteria thrive on properly digested food while undesirable bacteria thrive on undigested foods such as FODMAPs. Proper digestion of food by stomach acid, pancreatic enzymes and enzymes found in the intestinal “brush border” breaks food down into particles small enough to be absorbed by the body. If this process doesn’t work efficiently, bacteria can easily overpopulate in the small intestine and wreak havoc on our health. When it comes to SIBO, the importance of reducing gut inflammation, adequate stomach acid and enzyme activity cannot be overstated. Healthy intestinal cells secrete immune system antibodies, or immunoglobulins, which act as natural antibiotics to kill harmful bacteria and prevent them from colonizing the intestinal wall. If someone lacks sufficient Vit. D, the secretion of these immunoglobulins is inhibited. Combine this with insufficient stomach acid, enzymes, bile secretions, and constipation and you have the perfect environment for bacterial overgrowth. You can read more about how to increase your digestive ability in this article. Other important factors here are hydration and the migrating motor complex or “cleansing wave” of the intestines. This process kicks in a few hours after a meal and acts like a push broom, sweeping undigested food and bacteria from the stomach, through your small intestines into the colon. These waves only occur when the body is not digesting, so eating more often will inhibit this process and promote growth of bacteria in the small intestine. Adding insult to injury, these bacteria then produce toxic secretions that can cause long-term damage to your intestines and migrating motor complex if left untreated. Drinking enough water throughout the day is essential for proper bowel motility and preventing constipation. You can increase and preserve your cleansing waves by staying hydrated and eating 3 meals a day, 4-5 hours apart. However, do not wait this long between meals if you have blood sugar regulation issues, are malnourished and/or underweight. What to eat and what to avoid on a low FODMAP diet. People with SIBO often develop intolerances to a multitude of non-FODMAP carbohydrates, and can benefit significantly from a low-starch, gluten-free, paleo type diet rich in low FODMAP vegetables, healthy fats and clean, organic protein sources. Happily this type of diet can also inhibit the growth of other pathogenic intruders such as candida and parasites. Since legumes are one of the biggest offenders when it comes to fermentable carbohydrates, vegetarians who rely on them as a protein source will want to substitute plant-based proteins such as hemp protein powder, hemp hearts, pumpkin seed protein, spirulina and kale. It is important to point out that while higher FODMAP foods may be problematic for those with SIBO, it does not mean that they are unhealthy. There are many wonderful and highly beneficial foods, especially vegetables that should be reincorporated into the diet once SIBO is resolved. If you do not suffer from IBS or SIBO there is no reason for you to avoid high FODMAP nutrient powerhouses such as broccoli and cauliflower unless you have specific intolerances. On average it takes about 2 years and sometimes as long as five for SIBO to be completely corrected and for this reason many people choose to treat SIBO with a combination of diet and other treatments. Additional treatment options include antibiotics (usually refaximin and/or neomycin), herbal antibiotics (e.g. peppermint oil, grapefruit seed extract, berberine, etc.) and elemental diets (often very expensive and impractical). Talk with your doctor to determine the best option for you. While using diet alone to treat SIBO can take much more time and effort than other treatments, some people may start to feel improvement within a few weeks. The overgrowth itself will take longer to resolve, but in the meantime people can enjoy some relief from their symptoms. Dietary treatments for SIBO should only be followed for an additional two weeks after being symptom-free, depending on the severity of the infection. It is not intended to be a permanent protocol and it can be detrimental to your healthy gut flora if followed for too long. The goal with this diet is to reduce fermentation, inflammation and undesirable bacteria in the gut. Once those components are under control we can begin healing the gut with specific treatments and begin adding certain foods back in to promote a healthy population of beneficial flora. Vegetables: Artichoke, asparagus, bean sprouts, broccoli, Brussels sprouts, cauliflower, celery, garlic, sugar snap peas, onion, Jerusalem artichokes, potato (all colors), seaweeds, sweet potato, turnip. Fruits: Apple, apricot, avocado, blackberry, canned fruit, cherries, cranberry, dates, grapefruit, mango, nectarine, papaya, peach, pear, persimmon, plantain, plum, prunes, watermelon. Grains: Wheat and all gluten-containing grains, amaranth, barley, buckwheat, corn, millet, oats, quinoa, rice, rye, spelt, teff, wild rice. Legumes: Cannellini beans, chickpeas/garbanzos, fava beans, kidney beans, navy/white beans, pinto beans, soy beans, peas, pretty much all of them. Dairy products: All dairy products except butter, cheese aged 1+ months, dry curd cottage cheese, ghee, sour cream (homemade), yogurt (homemade). Proteins/Meats: Bacon w/sugar or corn syrup, broth made with onion or garlic, deli/processed meats. Nuts/Seeds: Cashews, chia seed, flaxseed, hazelnuts, pistachios. Sweeteners: Honey (sage or tupelo), maple syrup, molasses, sugar alcohols (xylitol, erythritol), stevia with inulin or other caking agent, sucralose, sugar/sucrose. Beverages: Almond or other nut milk w/thickeners, coffee substitutes, coconut milk w/thickeners, fruit juice, soda, chicory tea, licorice tea, pau d’arco tea, soy milk. Seasonings/Condiments: Asafoetida powder, balsamic vinegar, carob, chicory root, cocoa, all gums/thickeners, spices with onion & garlic, soy sauce/tamari. Alcohol: Beer, brandy, hard cider, liquors/cordials, rum, sake, sherry, tequila, wine (sweet/dessert), port, sparkling wine. • Eliminate foods you are sensitive or allergic to. • Omit grains, dairy and higher FODMAP foods. • Take digestive enzymes and/or HCl or other digestive support. • Eat 3 meals daily with 4-5 hours between each unless you are underweight or hypoglycemic. • Supplement with Vitamin D if you are deficient. The list of foods to enjoy and foods to avoid is too long to list in detail here, but there are many great resources for low FODMAP diets, including Dr. Allison Siebecker’s web site and these helpful charts from Aglaée Jacob and The Whole 30. There are also two great smartphone apps which you can use to look up specific foods - The Monash University Low FODMAP Diet App and the SIBO app by Dharmaworks Consulting, LLC. I find these especially handy when I’m at the grocery store or a restaurant and need to see if a food is high in FODMAPs. *All articles and information on this website are for educational purposes only. This information is not intended to diagnose, cure, treat or prevent any disease and is not to be regarded or relied upon as medical advice. These statements have not been evaluated by the Food and Drug Administration. Results may vary per person. Discuss any dietary changes or potential dietary supplement use with your health practitioner and do not discontinue any prescription medications without first consulting your doctor. Ah, gluten - the buzzword of the moment. Is it really as evil as it's made out to be? And do most of us even know what it is or are we just jumping on the latest health craze bandwagon? I've never been a bandwagon person. In fact, when I was little my mom always said, "If everybody's doing it, it's probably a bad idea". Jumping on bandwagons usually goes hand in hand with a lack of critical thinking and formulating an educated opinion for oneself. I always encourage my clients to think for themselves and listen to their intuition when it comes to their health, especially when it comes to food trends and diet fads. So is gluten just another fad or is it a genuine health concern? The answer to both questions is yes. First of all let me clarify what gluten is. Gluten is simply a protein found in grains such as wheat, barley, rye, spelt, and kamut. It is also found in other grains such as oats that may be naturally gluten-free, but have been contaminated during growth, or processed on the same equipment used to process gluten containing products. Some people cannot tolerate it at all (e.g. 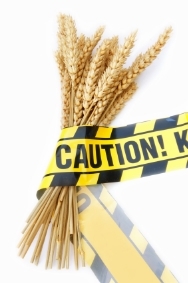 Celiac Disease and wheat allergy) and many have a sensitivity to it (non-celiac gluten sensitivity). Gluten sensitivity is more common in the U.S. because most strains of American wheat are significantly higher in gluten than those found in Europe. For those with gluten sensitivities (up to 1/3 of the American population), eating gluten causes inflammation in the gut which according to The New England Journal of Medicine can lead to a whole host of health issues such as (i) fatigue, IBS, depression & anxiety, autoimmune disease, migraines and the list goes on. Determining whether or not you are gluten sensitive is relatively easy to do with a simple elimination and reintroduction diet. Dr. Mark Hyman explains how to do that in this great article. The bottom line in my opinion is that gluten is more likely than not to cause excess inflammation. Inflammation is one of the body's natural protection mechanisms, but we want to prevent excess inflammation which is at the root of most disease including dementia, heart disease, diabetes and obesity to name a few. Following an anti-inflammatory diet can only make you healthier, happier and slimmer so I don't think it can hurt to eliminate gluten. If you do test your sensitivity and have no issues, gluten may not be a problem for you but I still recommend limiting it in the same way that I recommend limiting all inflammatory foods including, but not limited to: sugar (the biggie), processed foods, refined and trans fats/oils, alcohol, commons allergens (dairy, soy, corn, eggs, peanuts) and refined flours. It is also important to keep in mind that just because something is gluten-free does NOT mean it is a healthy food. There are scads of gluten-free products out there capitalizing on this trend (bandwagon alert) that are far more processed and unhealthy than their glutinous counterparts, so buyer beware. Listen to your body! If you have inexplicable health problems like digestive issues, skin rashes, fatigue, headaches, joint pain and brain fog, you may want to explore possible food sensitivities. But above all, avoid jumping on bandwagons. If we avoid everything that is supposedly bad for us and try to eat everything that is supposedly good for us we will drive ourselves insane and get confused by all the conflicting info out there. So stop stressing over your food, do your research, and consult an N.D. or nutrition expert to determine which foods agree with YOU and which do not. Then, enjoy your life and savor all of the wonderful, unprocessed, whole, nutritious and delicious foods that come from nature, not from a factory. Bon apetit! (i) Farrell RJ, Kelly CP. Celiac sprue. N Engl J Med. 2002 Jan 17;346(3):180-8. Review.